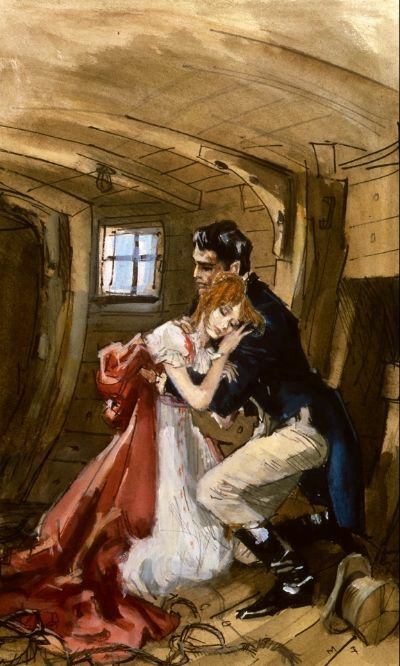 The Marquis of Elvington, heartbroken to discover the woman he intended to marry has deceived him, decides to leave England and put as many miles as possible between them. Handsome, intelligent and a great favourite at the Court of King William IV and Queen Adelaide, the Marquis is used to the admiration of women and respect of men, so the duplicity of his intended wife strikes him a cruel blow. However, a thick fog makes it impossible for his yacht to leave Dover Harbour, so he is forced to remain on British soil another night. Anger swiftly chasing his sadness, he decides to visit a cheap quayside inn to escape the loneliness he feels and drown his sorrows. Sitting alone, his mind firmly fixed on how the woman he loved has betrayed him, he vows never to love or trust again. But Fate seems determined to challenge him as almost immediately he is forced to act as a Good Samaritan’ to protect a young lady, Ola, intent on escaping the clutches of her hateful stepmother and dishonourable cousin. Blaming his act of charity on the vast quantities of brandy he consumed and against his better judgement, he offers to sail her in his yacht, The Sea Wolf, to Calais. Ola is brave, opinionated and daring as well as possessing the most flaming red hair he has ever seen. From the moment she steps aboard, decrying men and their dastardly intentions, the Marquis is hard put to keep in step with her wild ideas and brave deeds. In turn admiring her free spirit and amazed at her lack of understanding of the ways of the world, they form a strange truce based on the fact that both vow never to marry. But Fate has not finished meddling yet and they are soon embroiled in incredible adventures, too fantastic for either of them ever to have imagined, that push their friendship to its very limits.